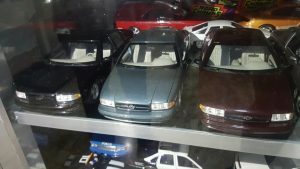 Chevrolet was enjoying the immense popularity and the consequent record-breaking sales of the introduced-in-1991 Caprice series. Because of its swoopy, Bauhaus-like contours, the Caprice earned the moniker “The Jellybean”, but Canadian cops fondly referred to it as “The Suppository”. 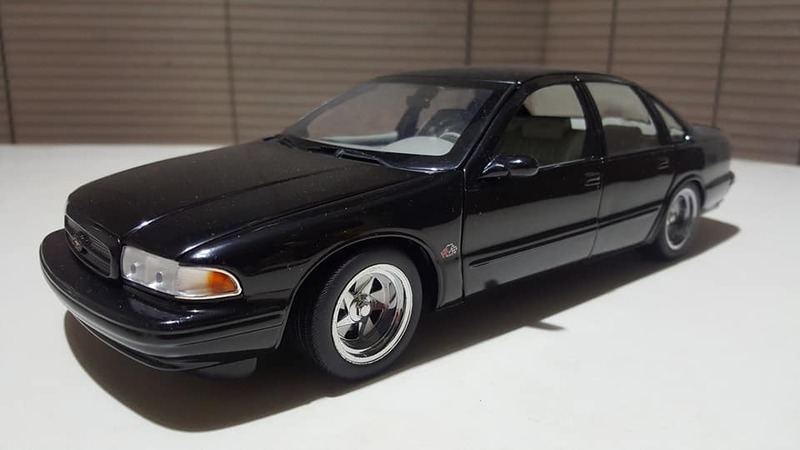 The car handled exceptionally well despite its 4100+ lb curb weight, and the high performance LT1 motor with 260 bhp was ready for fitment into the Caprice 9C1 Police Package variants in 1993. 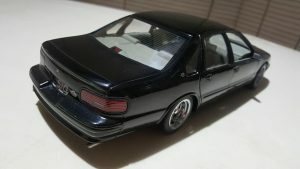 Product planners realized the immense sales potential of a large American grand touring sedan, and in due time the prototype of the Impala SS 510 was being developed. 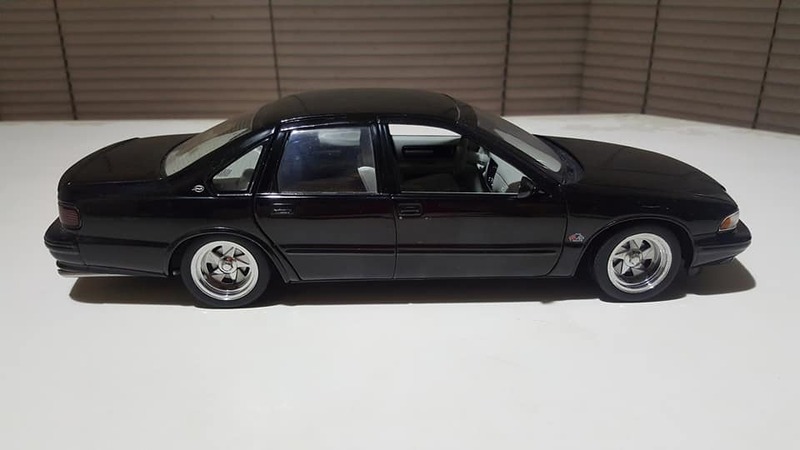 AutoArt released a fabulous 1:18 scale replica of the prototype SS 510 around 2002-03, and the photos speak for themselves. 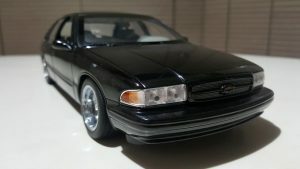 Actually the AutoArt SS 510 was a modification of the UT Models casting of the regular production Impala SS that the company produced around 1998. Right before that, mother company Gateway Global phased out the UT Models brand and subsequently ruled that AutoArt would become the surviving entity. 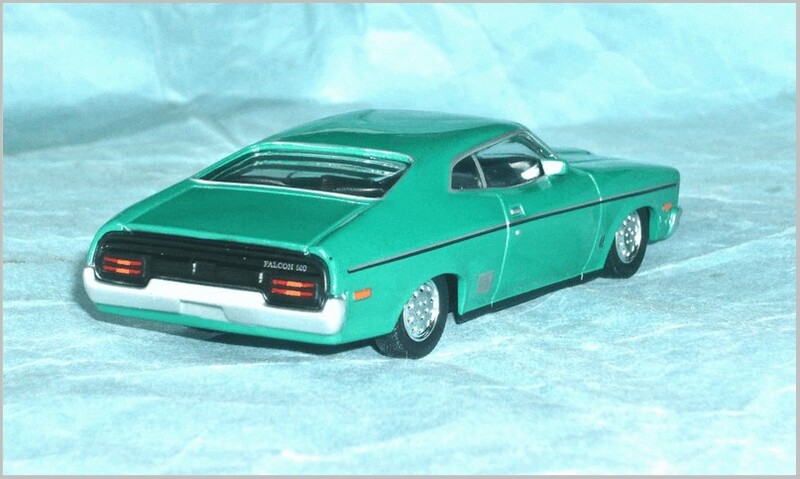 And the rest is model car industry history. 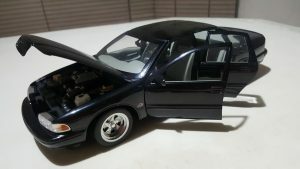 I love big old full-size/full-chassis General Motors B-Body cars; hence, this 1:18 scale Chevrolet Impala SS 510 Prototype is one of my favorite models from the brand. 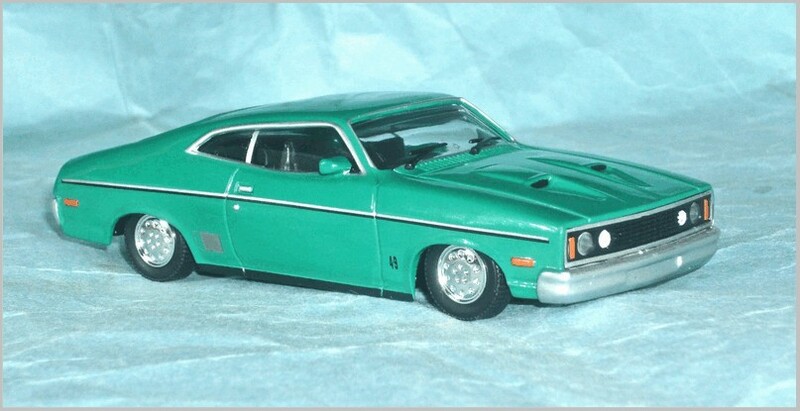 The AutoArt version is vastly improved over the UT Models, with opening rear doors, flocked carpeting, correct wheels and tires, and an accurate representation of the heavily modified 510 cubic inch V8 that was used in the actual prototype. 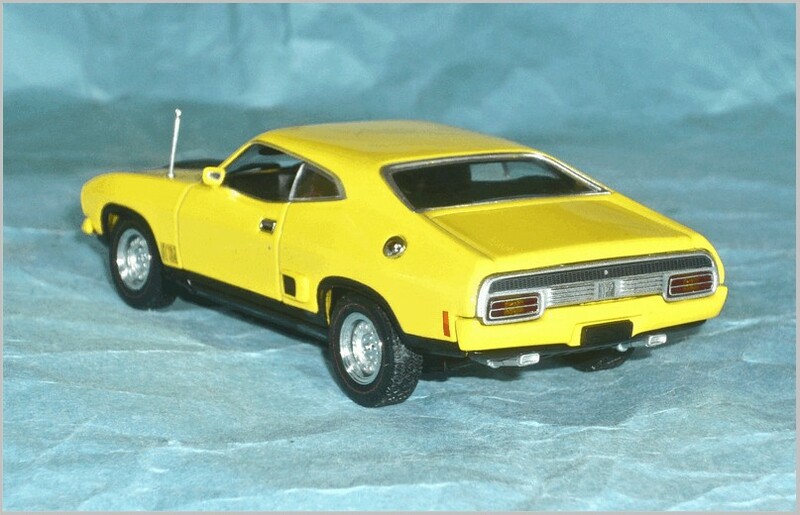 This model is from the early batches of AutoArt models, and it did not stay in production for very long. 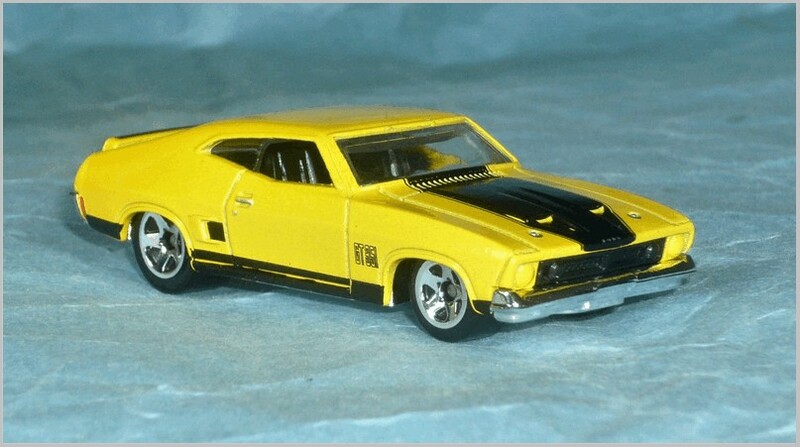 I certainly hope that the real Impala SS 510 SS prototype is in good hands today. It is a very historic car, because it served as the development mule for the 1994-1996 Impala SS. AutoArt did a great job in replicating the SS 510 prototype’s wide, meaty alloy rims and high performance steel belted radials. 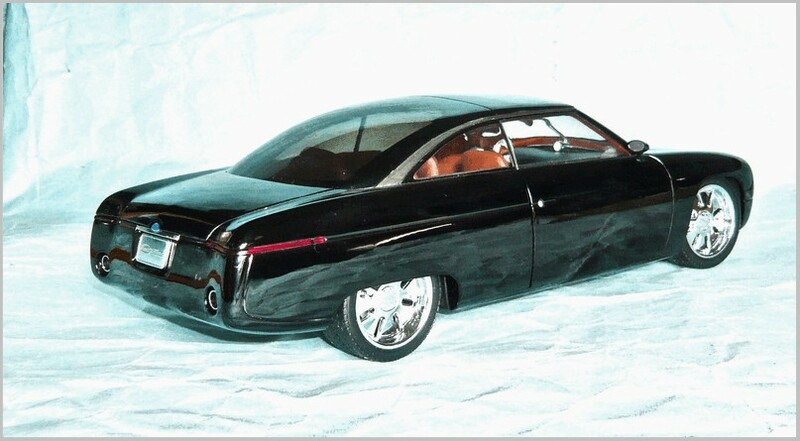 The earlier UT Models Impala SS was criticized for the use of “undersized” wheels and tires which literally made it look like a football player wearing ballet shoes. 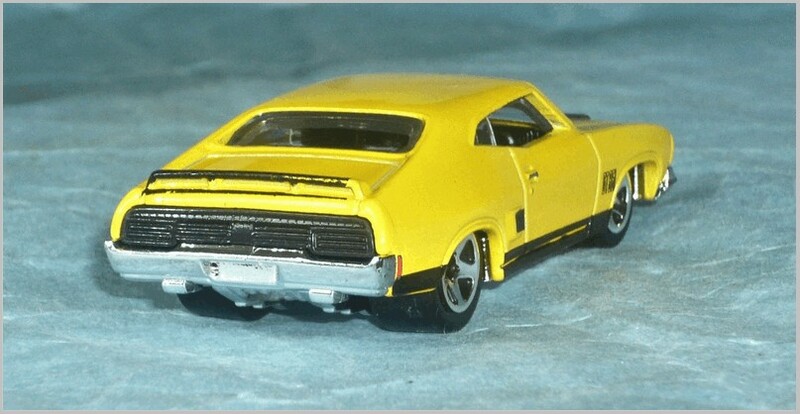 That “510” rear license plate proclaims what’s under the hood of this prototype. Regular production Impala SS vehicles got the LT1 260 bhp engine, essentially a detuned version of the engine in the C4 Corvette of the era. The shape of the the B-Body 1991-1996 Caprice/Impala SS was ahead of its time. The outward visibility of the large “greenhouse” of the car was close to 360 degrees, in fact. Unlike the UT Impala SS models whose rear doors did not open (despite being cast as separate pieces), the AutoArt SS 510 featured all four doors that would open independently. 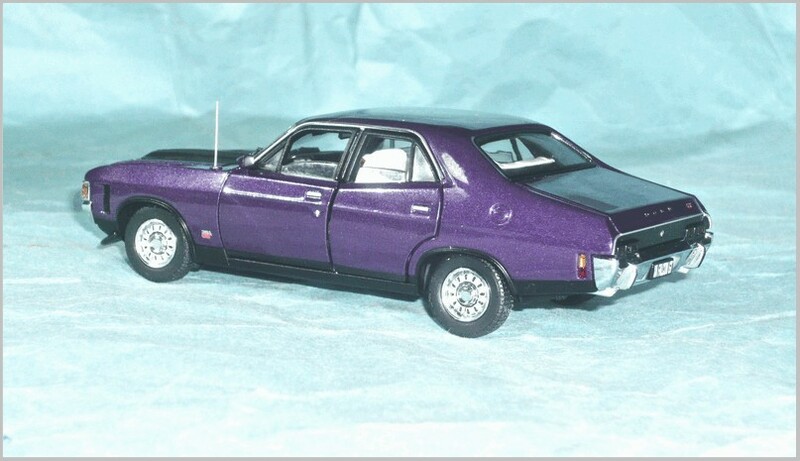 There was flocked carpeting and an accurate rendering of the modified 510 cubic inch V8 too. 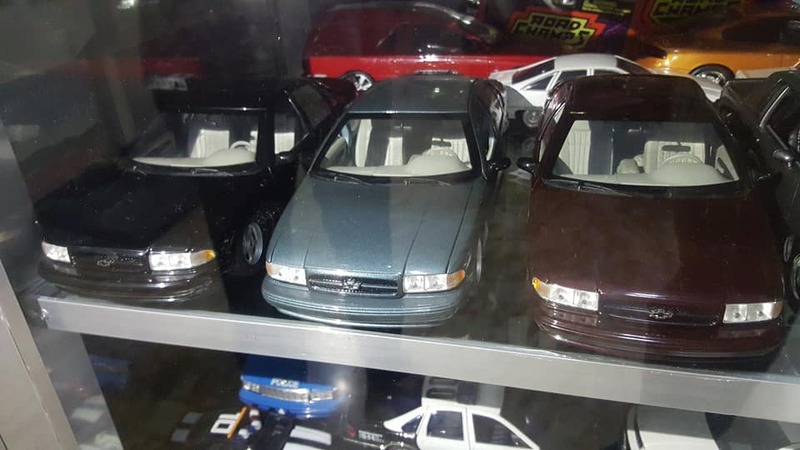 All 3 variants of the UT Models regular production 1996 Impala SS in all the three actual exclusive colors of the real car: Black, Teal Green and Dark Cherry. This is as good (and as complete) as it’ll ever get. Around Ford’s Centenary in 2003 numerous events and creations were produced to celebrate the achievement . One of these was a concept called the Fortyniner as a tribute to the 1949 Ford that in reality could be said to have saved the company in the years following the Second World War. 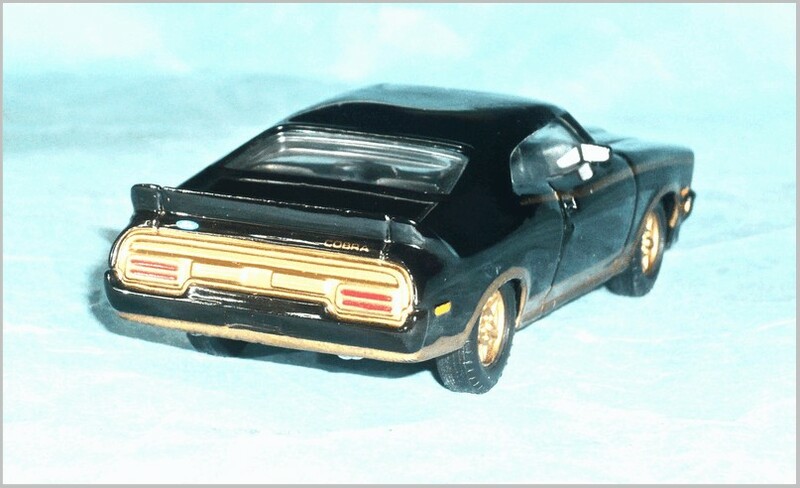 Two examples were created, a black closed car with an all glass top and a red convertible. That original ’49 Ford featured what was regarded as radical new styling for the time embodying a simple shape with clean body panels combined with what were then modern conveniences. The 1949 Ford was presented with the Fashion Academy Award in both 1949 and 1950. 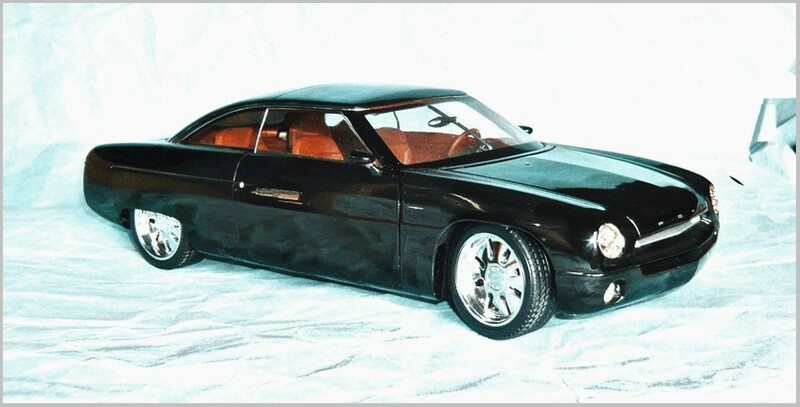 This fifty year later concept car appeared in 2001 and was styled keeping to those original ideas and marrying them to what were significant custom car touches from the period as well as modern elegant and clean lines from Italian designers such as Ghia. 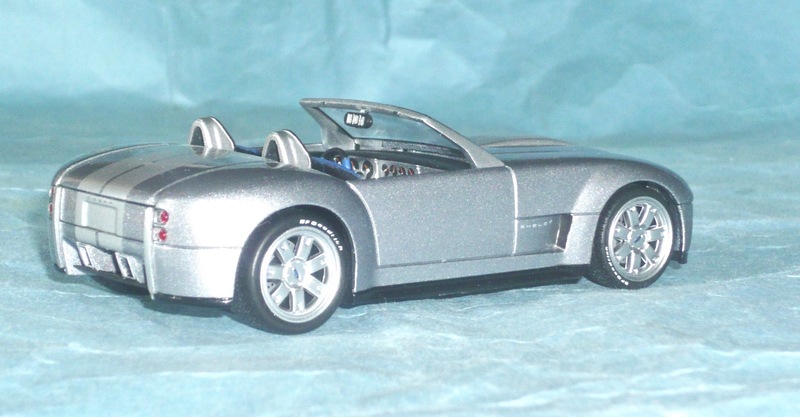 Appearing a year earlier in 2000 was the new Thunderbird concept that subsequently went into production in virtually the same form. Much of the character of this new Thunderbird was also incorporated into the Fortyniners styling. The concept was powered by a 3.9 litre 32 valve V8 Thunderbird engine, the front fender badges are in the Thunderbird style and are lettered “Powered by”. 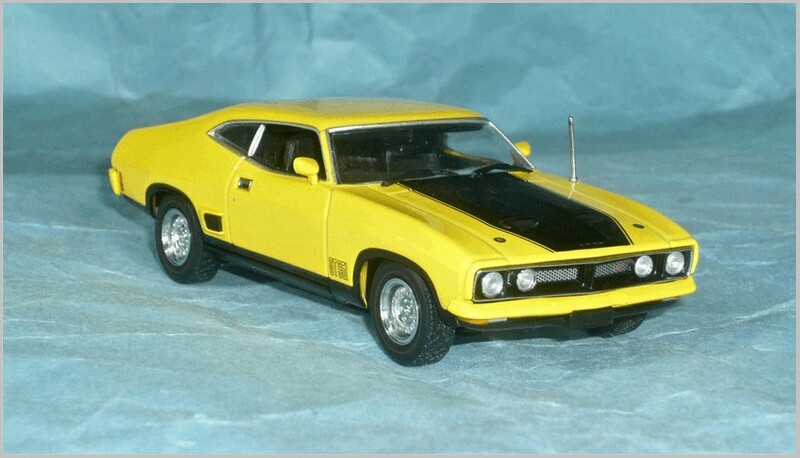 So far the only model of the Fortyniner concept to be found came from Auto Art at the time of the real thing and as usual they have done a superb job of it. At 1:18 it represents the ‘closed’ version and captures the simple but elegant lines perfectly having opening doors hood and trunk, steerable front wheels and a complete interior. The latter features the distinctive central ‘console’ that was part of the cars structure while such things as the cruise and radio controls located on the steering wheel was done to echo those bright horn rings of fifty years previous – have all been depicted. Turning the model over reveals a plethora of engine, transmission, drive line, steering and suspension detail. Beware, while enjoying the examination the projecting mirrors are vulnerable and delicate. 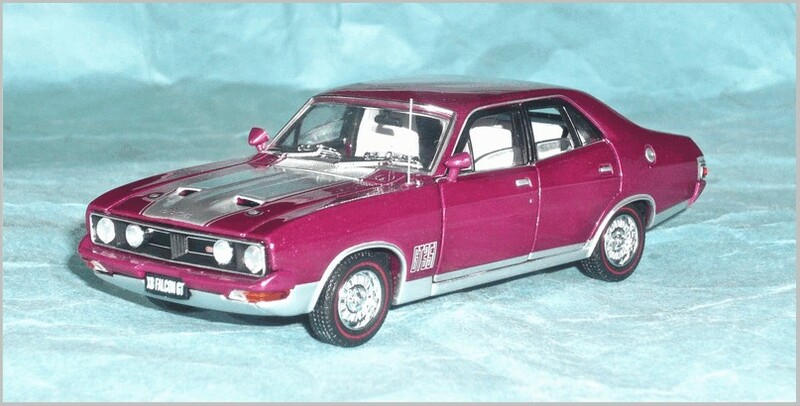 Auto Art 1:18 diecast from China: 72031, Ford Fortyniner concept. 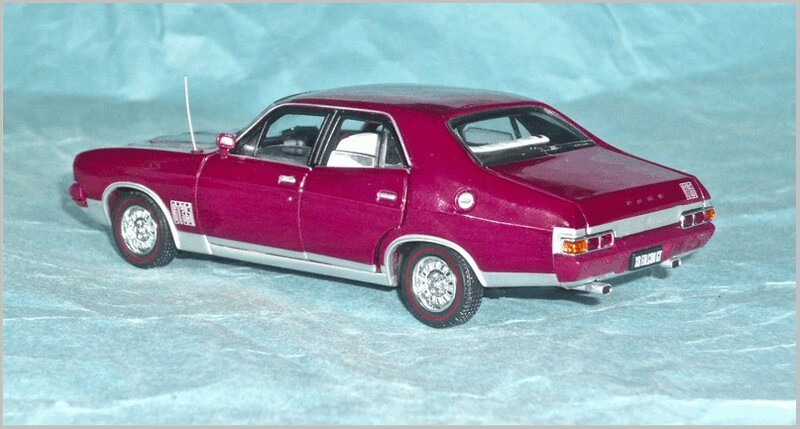 Auto Art 1:18 diecast from China: 72031, rear view of Fortyniner. With MIRA 1:18 diecast from Spain: 6250, 1949 Ford Coupe the inspiration for the Fortyniner concept. 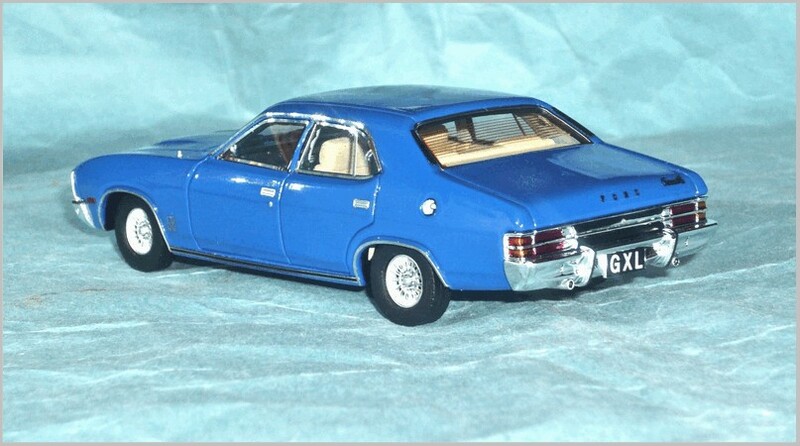 Rear view of the two Ford Coupes. When Ford celebrated their Centenary in 2003 a whole series of concepts were unleashed, along with the many other related events. 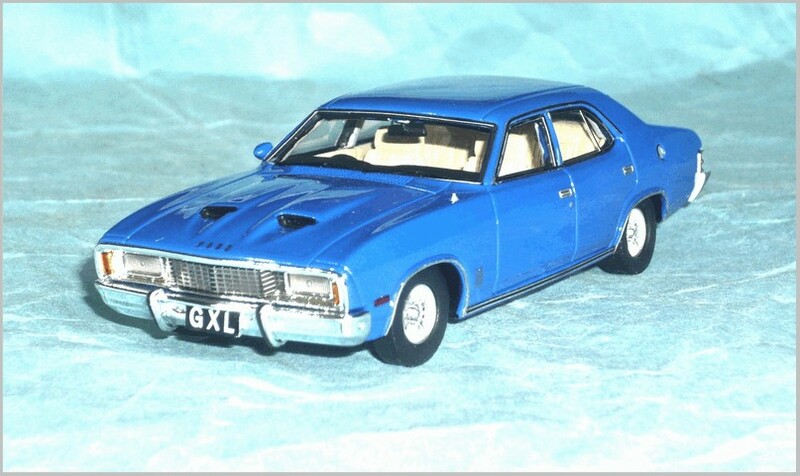 Most, if not all, these special productions were conceived to recall one of the memorable and significant vehicles of Ford’s past. Among these was the Shelby Cobra that resulted when Carroll Shelby inserted a big US Ford V8, first a 4.2 and for production a 4.7, into the front of an unsuspecting AC Ace. This had previously been the home of the old 6 cylinder 2 litre AC engine that dated back to the 1920s and from April 1956 there was the option of a straight 6 Bristol 2 litre. For just over a couple of years from March 1961 the 2,553cc Ford straight 6 was employed. Since the production of the first Cobras ended in Jan 1969 there have been many copies and kit cars replicating the Cobra, in fact Carroll Shelby produced a very limited number of 2 seater roadsters in the late 1990s that had a degree of GM content and called simply Shelby Cobra. The 2004 Concept car was produced by Ford and featured an all-aluminium 6.4 litre V10 engine that was claimed to be able to propel the car to 267mph – although it was actually electronically limited to 100mph. 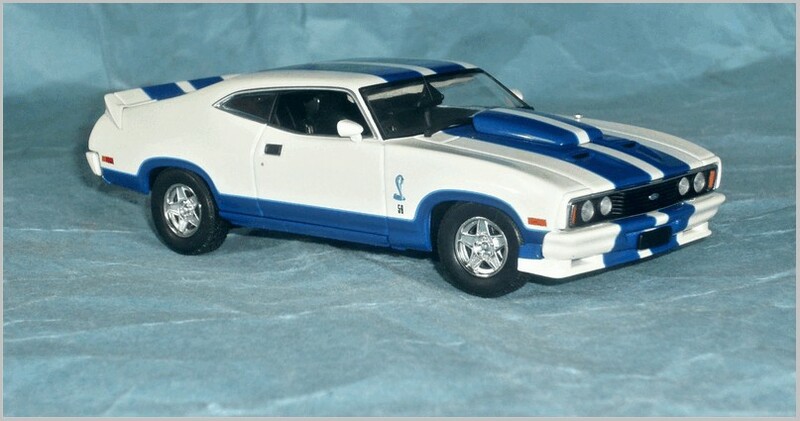 Its chassis was based on that of a Ford GT, modified to be front engined but with the transmission in the rear. It was not registered for road use but was subsequently purchased by one of its designers, Chris Theodore, at auction for $825,000, the proceeds going towards the restoration of Henry Fords Fairlane Estate. 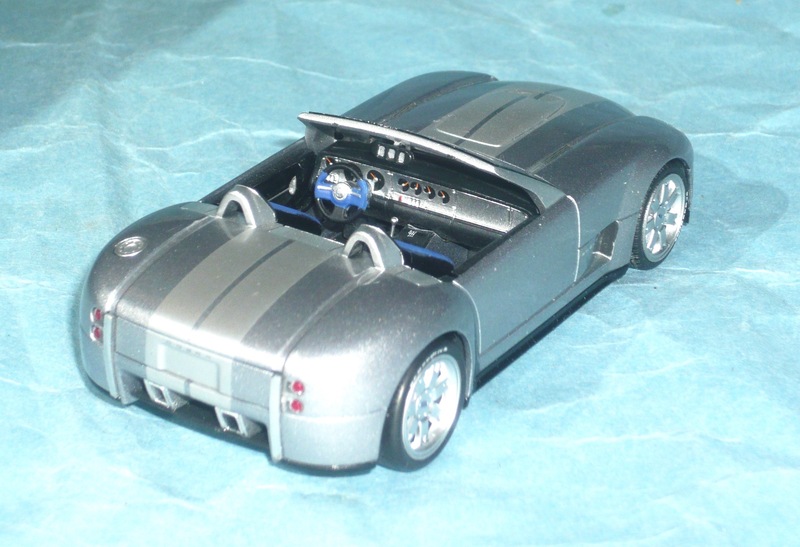 Models of the Shelby Concept as might be expected appeared in the few years following the real cars appearance. 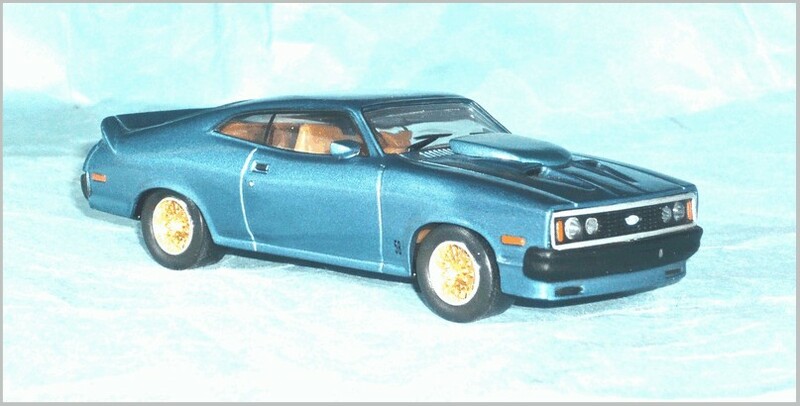 Auto Art gave us no less than three quite different models, a big 1:17 scale diecast and much smaller one in 1:64 and in between a plastic slot car in 1:32. 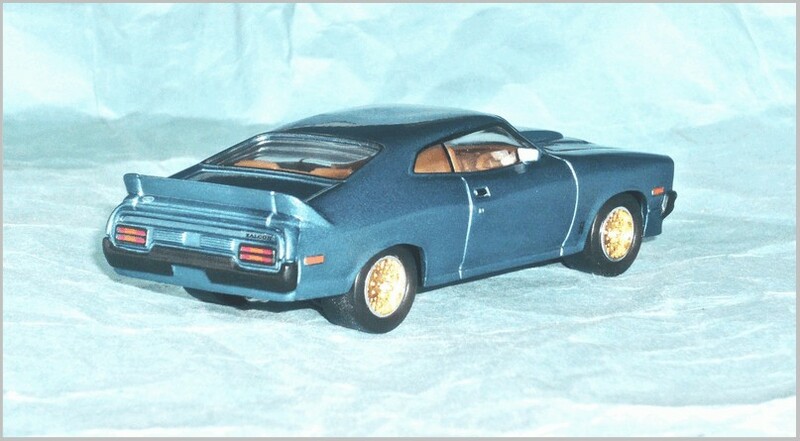 Mattel also produced the model in two sizes, their Hot Wheels examples came in at least eleven versions and in many cases almost being little models rather than pure toys. 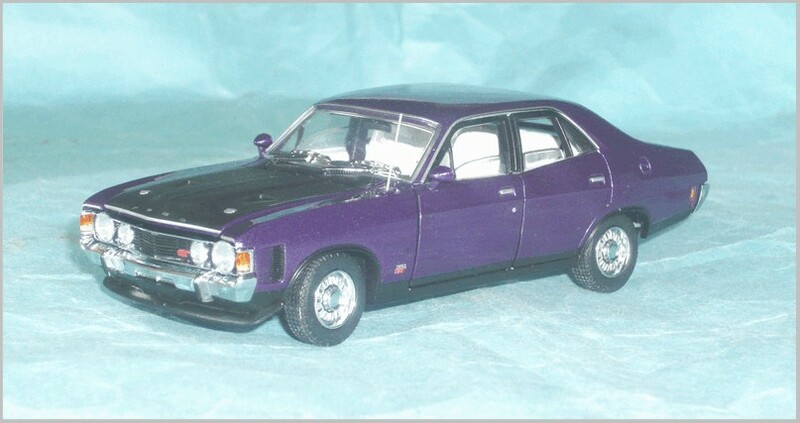 Their larger 1:18 diecast were excellent despite coming in a variety of colours, the real car was only ever silver. 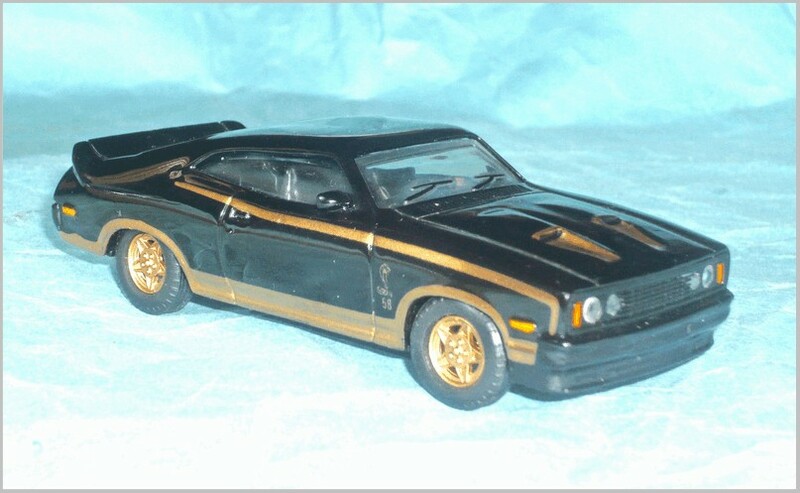 Matchbox also issued a small diecast Shelby that looks very like the Hot Wheels version and it came in at least six versions. 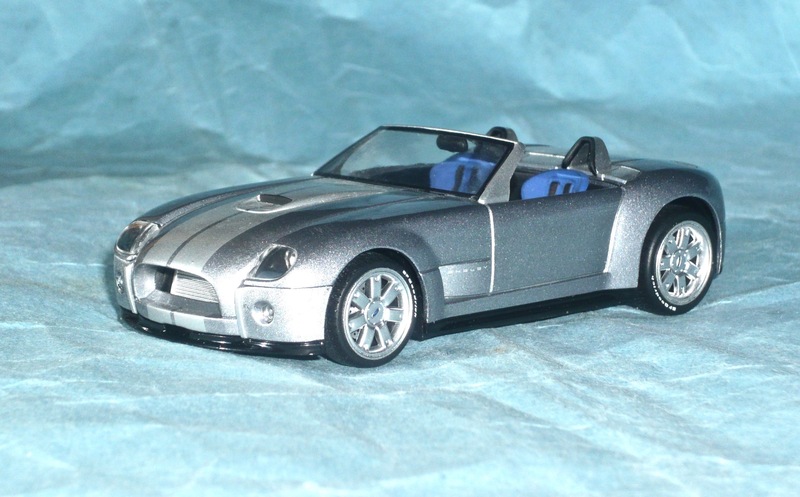 Minichamps issued their 1:43 Shelby in a three part “The Ford Power Trilogy” set in 2005 along with 2005 Mustang and 2005 GT, all finished in the silver/white stripe colour scheme. 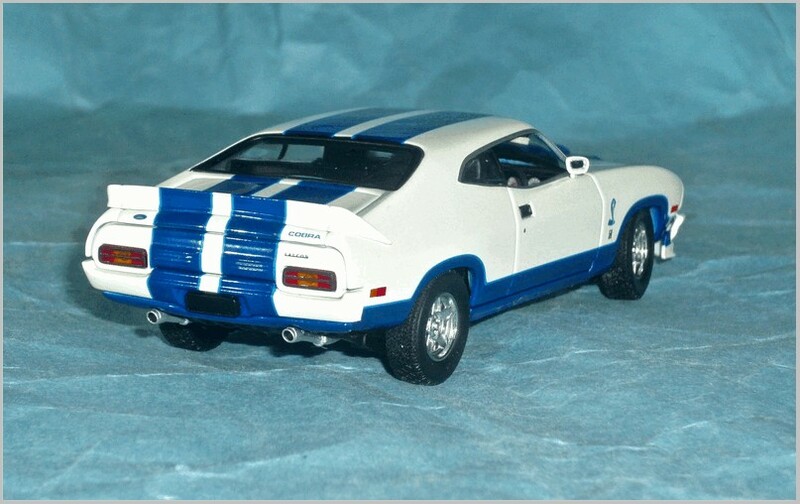 The Shelby was then issued separately for a couple of years. 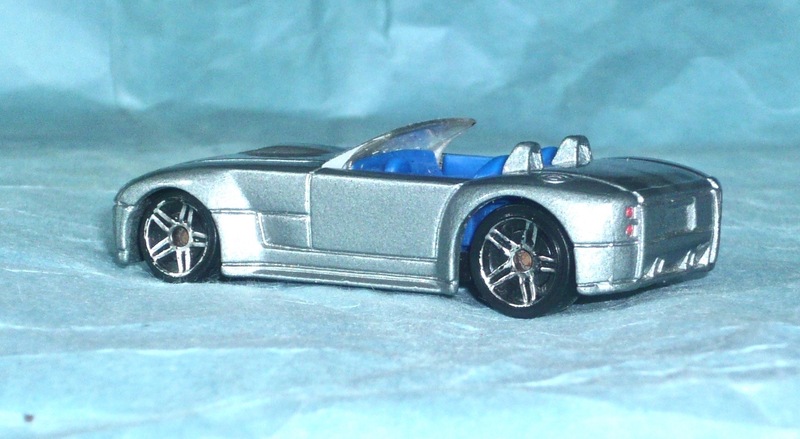 Mattel Hot Wheels 1:60 diecast from Malaysia: G6687, in authentic colour scheme.